Mildred Ann “ToeTay” Miller departed her earthly home to enter into her eternal resting place on August 5, 2018. Mildred was the wife of the late Allison “Onion” Miller. 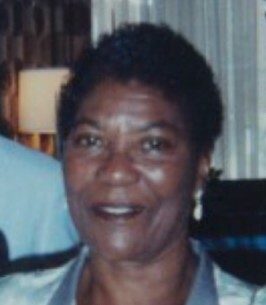 She leaves to cherish her fond memories, yet saddened by her departure, her children Ryan Miller, Tinake (Carl) Gilbert, Troy Miller, Demond (Nichelle Victor) Miller, Donovon (Josiane) Miller; siblings Catherine J. Harris, Godfrey (Linda) Harris, Nelson (Betty) Harris; six grandchildren; five great grandchildren; and a host of family and friends. She was preceeded in death by her parents Godfrey and Agnes Bastain Harris, and brother Raymond Harris. Funeral services will be Saturday August 11, 2018, at St. Philip Catholic Church, 1175 Highway 18, Vacherie, LA. Visitation from 9:00a.m. to 10:45a.m., service beginning at 11:00am. Officiated by Father Brad Doyle. Interment: St. Philip Cemetery, Vacherie, La. Treasures of Life Funeral Services, 315 E. Airline Hwy, Gramercy, Louisiana was entrusted with her final care. "When someone you love becomes a memory, that memory becomes a TREASURE!" To send flowers to the family of Mildred Ann "ToeTay" Miller, please visit our Heartfelt Sympathies Store.